Are German Solar panels in Australia the best on the market and are they worth the money? German companies are renowned for their high standards of manufacturing, and this was particularly true in the solar industry. Buying a panel from a company such as Q Cells or Solar World was a reliable way of ensuring you were buying a quality system, without delving into the mysterious world of Chinese solar manufacturing to try and differentiate one panel from the next. Unfortunately, however, all of the main German manufacturers are now either making their panels in Asia or do not have a local office here in Australia. So what is now considered the best solar panel available in Australia, and how do you justify the extra price tag associated with the top of the range panels? Plus Free System Monitoring For A Limited Time Only! Update: (updated 2017): SolarWorld has just announced they are filing for bankruptcy as they are unable to meet their debt obligations. This is what we have been worried about for some time now, and why we stopped selling SolarWorld panels when they pulled out of Australia. If a company does not have an Australian office and they become insolvent the distributor or importer is responsible for the warranty obligations. It is risky business, and we see this type of thing happening over and over. Around the time Q Cells moved their manufacturing to Asia, Solaray made the decision to take the popular Q Cells Q.Pro panel off our price list. Q Cells were bought out in 2012 by Asian giant Hanwah, and have now moved their manufacturing to China, Malaysia and South Korea. A big blow to the solar industry was the announcement that Bosch is writing off over $2 billion and closing their solar panel manufacturing facilities at the end of 2014. The upside of this news is the announcement that Bosch will begin increasing their investment in batteries systems that are compatible with residential solar systems. Bosch is one of the world’s most respected brands – with a reputation for quality across many industries and products that have been developed over 125 years in business. There are a number of panels on the market that use marketing to associate their brand with Germany, but manufacture their panels in China. We often here salesmen talking about how panels have ‘German technology’ and the like, please don’t fall for this. The Germans invented solar panels and so all solar panels are technically based on German technology. It’s a misleading statement. GermanSolar manufacture their panels in Xiamen, China. If Munsterland were an Australian company they would probably be in trouble with the ACCC. They clearly state on their website the slogan ‘Made in Germany’, alongside the message that their panels are made in China. It would be funny, except that many Australians have bought these panels expecting the quality associated with German Made products. At least their head office is conducted according to “German quality standards”! A typical business model by Chinese solar manufacturers is to have a small office in Germany, and to then say that their solar panels are ‘German Engineered’, ‘German Designed’ or even ‘Made in Germany’! Munchen Solar share the same address in Germany as Ningbo Qixin Solar Electrical Appliance Co., Ltd, and from first-hand accounts from our colleagues in the Australian Solar industry, it is a 3 room office with no signage relating to Munchen Solar. Feel free to investigate further. Quite simply because it is misleading, and when you as the customer are not informed (or mislead), it is possible to get overcharged for a system that can be purchased for a fraction of the price. We have access to all of the wholesale prices for solar panels, and many Chinese brands including the ones listed above can be purchased wholesale for a fraction of the price of leading brands such as LG Solar. Solar installers are then able to mark up the price of a cheap ‘German(ish)’ panel and sell it at a premium, essentially ripping you off. Compounding the issue is that often your system will then underperform, or even worse it will break. We get dozens of calls a week from people trying to get help because their original installer has gone out of business and the panel manufacturer simply doesn’t answer phone calls. We strongly recommend that you choose good quality brands, especially now that it is possible to get a 3 to 5-year return on your money using top quality panels. Stay away from the cheaper end of the solar market – you will thank yourself in 3 years time when your system is simply working as it should. For an interesting article from The Business Spectator about the ‘Murky Side of the Solar Industry’ click here. Not everyone gets away with misleading Australian customers! Why Choose Quality Solar Panels? Our staff are constantly hearing feedback from customers who bought a cheap system or know of someone who did and who are now regretting the decision. The output is everything in residential solar power. The more solar power you generate, the lower your power bill should be. 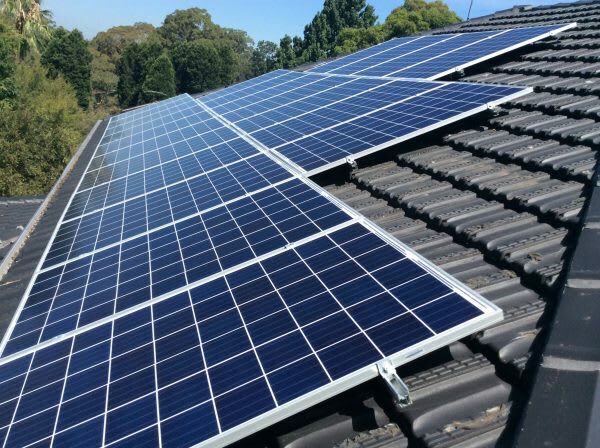 When you buy a quality solar panel, you are ensuring that your panel has the built-in technology to maximise solar output in all light conditions, especially in NSW where cloud cover and hazy days are common. “I’m calling to get a price on new panels, my system isn’t working and I can’t get in contact with my installer”. The other problem is the cost of replacing cheap products that are not working and are not adequately covered under warranty. Reputable solar manufacturers are publicly listed companies with legal requirements to honour their warranty commitments. Importantly they should have an Australian office so that any faulty products are not only covered under warranty but replaced in good time and include installation and labour in their service. Buying a quality system reduces the risk of costly repairs over the life of your system. For those looking for the best solar panels available in Australia, the Solaray Team recommend LG NeON and Mono X panel. LG is a world leader in solar panel manufacturing with over 20 years experience. The latest NeON 2 335W panel benefits from years of research. The next generation panel has seen many improvements that really matter, from longer warranties and higher efficiency to stronger framing and increased wind loading. LG Solar panels will provide decades of clean, reliable energy. Choosing a top of the range panel such as the NeON 2 335W module is an investment in superior standards of design, manufacture, back up support and warranties. The high quality is the result of LG’s strong commitment to developing a module that delivers reliable, high output for decades for a peace of mind solar solution. LG panels come with a 0/+3% power tolerance. For example with a 335W LG NeON 2 panel, the flash test of this panel will be between 335W and 345W. You will only be able to take advantage of this if you have panel level output, a feature of Enphase Micro Inverters and SolarEdge DC Optimisers.